When a post appeared on The Literary Fly Fisher a few weeks ago, announcing the University of Idaho’s 7th Annual Hemingway Festival, I went digging for a copy of “Big Two-Hearted River” because it is such a good fishing story about more than fishing. Then I dug up a copy of “The Short Happy Life of Francis Macomber” because that shot from the 6.5 Mannlicher still buckles my knees. Thank you to The Literary Fly Fisher for the reminder that an evening spent reading Ernest Hemingway ain’t such a bad thing. We have honored Ernest Hemingway once before on these pages with Flashback Friday: Great Moments in Literary History, which involved a small trout. Today, as a tribute to those about to gather at the Best Western Inn in Moscow, Idaho, we honor him again by sharing a recent find. Poetry is not a prominent component of my musty collection of books. I still have Whitman’s “Leaves of Grass” to remind me of myself in my twenties, when a barbaric yawp did not end in a coughing fit, and I won’t let go of Robert Service until I can recite from memory “The Shooting of Dan McGrew” but other than a collection of dirty limericks and, of course, Walt Kelly, that’s been about it. 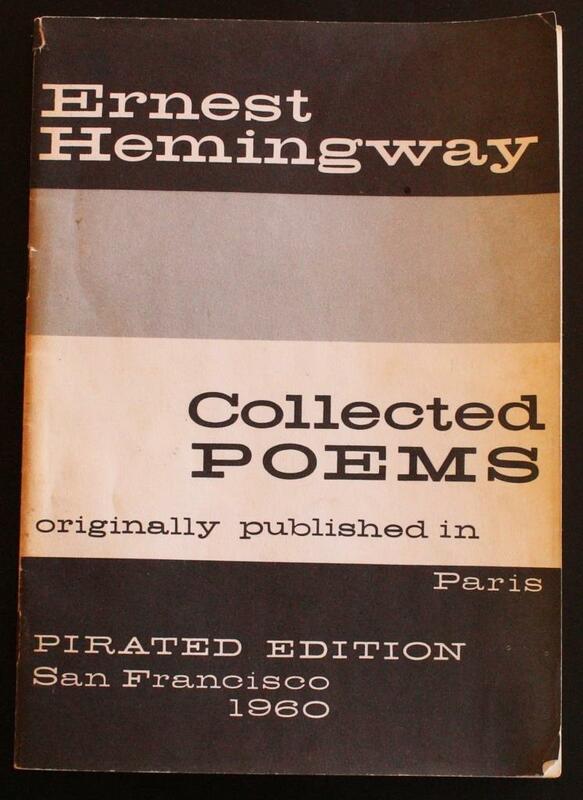 Pirated poems by Ernest Hemingway? Had to have it, even though I winced at the thought of paying three times the cover price. “Big Two-Hearted River” was published in 1925, while Ernest Hemingway was in Paris, a world away from Michigan. On Saturday nights he could be found at the home of Gertrude Stein, along with Pablo Picasso, F. Scott Fitzgerald, Ezra Pound, Thornton Wilder and others. One poem in this collection, from 1924, “The Soul of Spain,” is described by Hemingway as [In the manner of Gertrude Stein]. Home is where the heart is, home is where the fart is. Considering that Alice B. Toklas provided the refreshments at those little gatherings, artless farts should not surprise us. Never the less, it was Gertrude Stein who convinced Hemingway to cut 11 pages (!) from “Big Two-Hearted River” and showed him just what ruthless editing was all about. 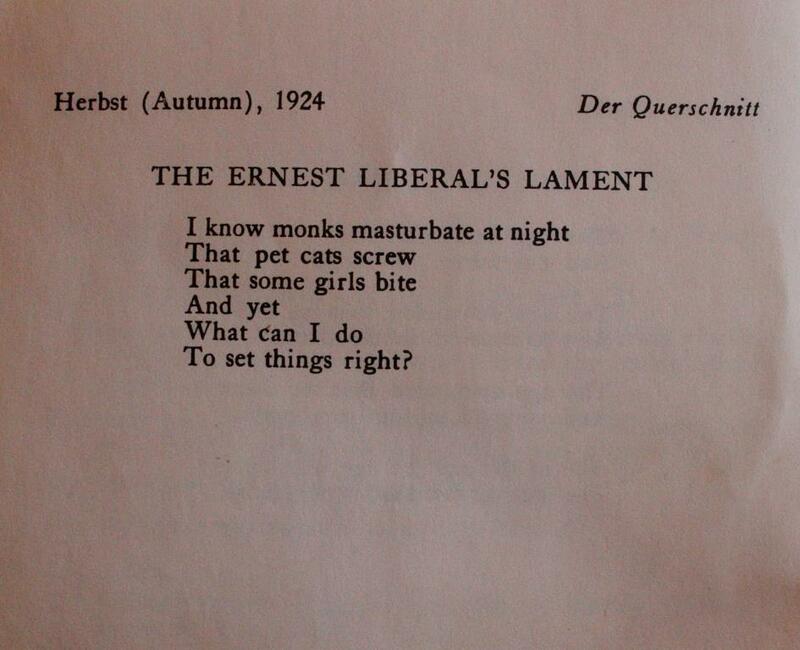 Other poems in the collection show that there was more going on than eating brownies and giggling about farts. There are plenty of dead soldiers, drooling double-dealers and bullfights (“I love to see the puntillo used. It is exactly like turning off an electric light bulb”). 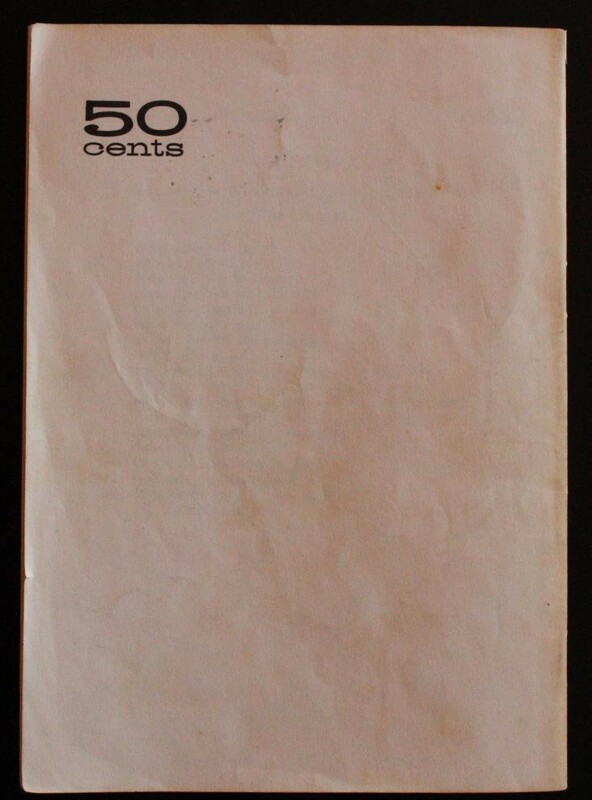 At 28 pages, “The Collected Poems of Ernest Hemingway” won’t take up much space on the shelf. I think I’ll keep it. There is one more poem worth sharing, I think, but it is not for children or those with delicate sensibilities. They should not, repeat, not click on the portrait below. I see it and think what a handsome young man he was. A man who saw war and death and things no one should see, and showed them to us with his words. He was also a man who wrote standing up, collected polydactyl cats and ate brownies with Gertrude Stein. I’ll nominate “A Clean, Well-Lighted Place” and “The Last Good Country” as essential Hemingway short reads too. Fine choices, both. Nothing like a good collection of short stories.